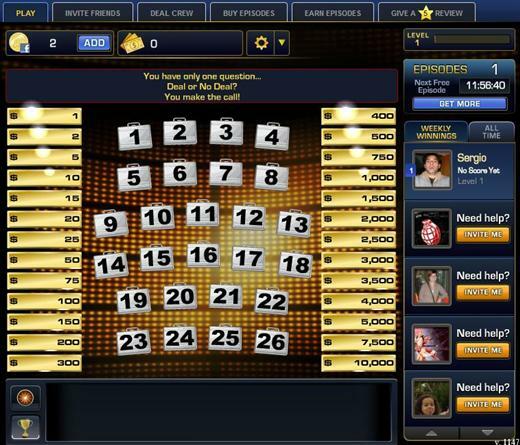 Deal or No Deal plays like the American version of the famous game show, in which you start by grabbing one of 26 briefcases that could have anywhere from $10 to $1 million depending on how far you’ve leveled. The amounts contained in each briefcase are marked on a board, which are marked off in turn while you pick other briefcases in an effort to guess which amount is in your own. 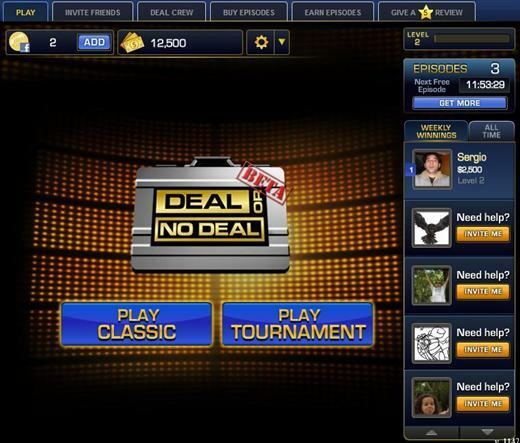 Welcome to Deal or No Deal – with a twist! This time around you have some tricks up your sleeve to help you beat the Banker. Use Sweeteners to add big value cases to an episode, reveal low value cases, save Banker offers, and more. As you play episodes, you earn experience points (xp) that let you gain levels and play for bigger and bigger rewards! 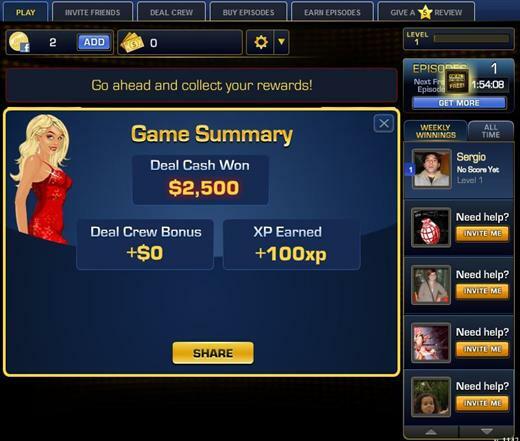 In the special Top Dealer mode, you match wits with other players for even higher stakes. See if you have what it takes to be Top Dealer! Invite your friends to help you win even bigger.